Co-Curricular Activities (CCAs) and External Curricular Activities (ECAs) are an important part of student life. These activities provide opportunities for students to participate in team-based sports, discover new passions, develop social skills, play together and, most importantly, have fun! It is mandatory that students participate in at least one CCA / sports team per semester (for Years 7 to 11). We offer before school and after-school activities with a small number of CCAs being by invitation only and tryouts. These invitation CCAs are mostly mother tongue CCAs or school sports teams. The teachers in charge will be in direct contact with parents and will provide any specific information about sports based events when appropriate. External Curricular Activities are run by external providers who are contracted to provide their programme on campus for Primary students from Kindergarten 1 to Year 6. Some examples of ECAs available include Whizz Kidz Photography, Clay Modelling, Debate, Swimming, Art Kids, Fun Science, Little League Soccer etc. 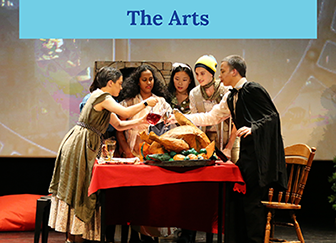 Click on the below banner to access the CCA/ECA guide for the current school year. 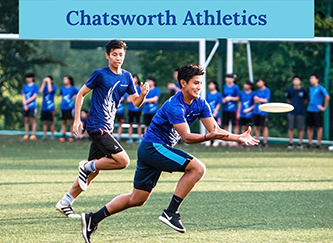 In the Secondary School, in addition to various sports teams which are mainly competitive, students can choose amongst wide-ranging CCAs conducted by the teachers. These include DanceSports, Model United Nations, Robotics, Japanese Club, Fitness, Rock Bands amongst many others.